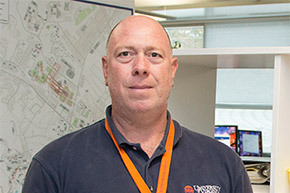 UVA Facilities Management is proud to recognize Keith Payne as the April 2019 Safety Champion. 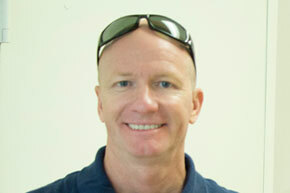 Keith is a Construction Administration Manager within FM’s Facilities Planning and Construction department. 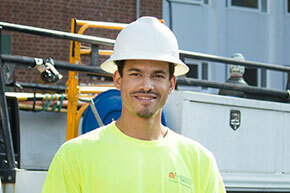 Keith has been proactive in engaging FM Occupational Health and Safety and contractors on jobsites that he manages. Keith takes a risk-based approach and arranges for monthly site walks with contractor personnel and OHS. He ensures that safety concerns are addressed and mitigated immediately. Contractors, visitors, and UVA employees on Keith's jobsites are well aware of the safety expectations on those sites and, as a result, the working relationships between FM and outside parties has been greatly enhanced. Keith's suggestions and input has been very valuable to OHS and will help to ensure the continued mitigation of workplace hazards on his projects. UVA Facilities Management is celebrating the team that created and teaches FM’s revamped Hoist and Rigging Safety Training Course with the all-new Safety is Ours to Shape recognition, created in honor of UVA president Jim Ryan’s new Ours to Shape initiative. Cameron Ratliff, Randy Higgins, Dakota Peregoy, William Simmons, and Marcus Klaton regularly use hoist and rigging techniques as part of their daily job duties. Led by Cameron Ratliff with the support of their supervisory chain, this group created a one-day classroom and hands-on course which covers general requirements for proper rigging, how and why proper rigging practices improve safety, as well as rigging requirements for steel chains, wire rope, and synthetic fiber. Instruction includes crane set-up, load dynamics, lift planning, load charts, rigging, and signaling. A passing grade achieved by a participant indicates that the participant has the knowledge to safely use Hoists and rigging equipment at UVA Facilities Management. The initiative these employees shown, coupled with the support from their supervisors is helping FM develop and maintain a culture of safety. 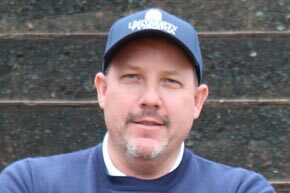 UVA FM-OHS is honored to recognize Mike Light as the January 2019 Occupational Health and Safety Champion. Mike works as a Senior Electrician in Zone 1 of HSPP, where he is responsible for training FM’s electrician apprentices in addition to his regular day-to-day tasks. A few years ago, at his then-supervisor Alex DiGiacomo’s request, Mike put together a board with switches and wiring to allow apprentices to attempt wiring in an environment with no hazards. Since then, Mike has expanded the board to include additional devices, including a photo cell, time clock, and a low-voltage relay. This “Knowledge Board” is capable of being wired in different configurations, teaching student apprentices the different circuitry needed for different applications. The Knowledge Board continues to grow, with additional items being added as the need for training arises. Mike’s dedication to a safe learning environment for FM’s more inexperienced apprentice employees is greatly appreciated by all groups at UVA FM. 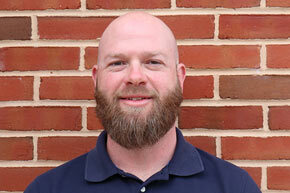 Chris Hoy of UVA Facilities Management’s Facilities Planning & Construction (FP&C) department has been selected as the December 2018 Safety Champion. Chris has been diligent about ensuring contractors working on the complex, multi-year University Hospital Expansion project abide by the safety requirements set forth by UVA FM. He is active in reaching out to Facilities Management’s Occupational Health and Safety (OHS) for guidance on various subjects such as crane pick plans. In addition, Chris is active in FP&C Safety Committee undertakings and other meetings within the Health System FP&C group where a focus on safety is needed. 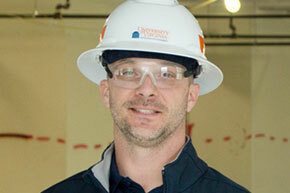 Chris has been instrumental in arranging project walkthroughs with general contractor personnel and OHS. He is open, engaging, and has provided valuable insight into ways OHS can continue to partner with FP&C as well as outside contractors. Chris is a great advocate for health and safety for both UVA FM employees as well as those that work on ground on FM projects. 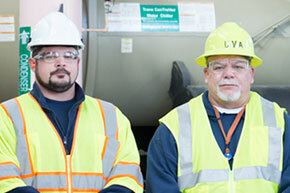 Ed de Bary and William Evans have been selected as the November 2018 UVA Facilities Management Safety Champions. 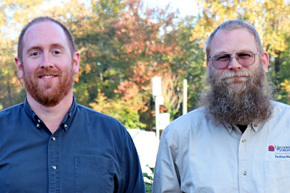 Ed and William both serve on the UVA FM Electrical Safety Focus Team, comprised of members from across UVA FM that regularly work with electricity or encounter electrical hazards. This dedicated team created UVA FM’s Electrical Safety Program as well as made personal protective equipment (PPE) recommendations that were adopted by FM. As a part of this team, Ed and William were tasked with creating an electrical safety training that complies with applicable regulations specifically for UVA FM employees. Not only did William and Ed create this training, they also teach it several times a year. More than 620 seats have been filled in their classes in the two years they have been training. Thanks to Ed and William, new and current FM employees are more protected by being taught to recognize electrical hazards in their assignments. Randy Campbell is UVA Facilities Management’s October 2018 Safety Champion thanks to his ongoing efforts to be sure that his employees are working at the highest possible level of safety. Most recently, Randy has taken on the initiative of laboratory safety for FM employees, ensuring that employees and apprentices under his supervision are safe while providing a variety of support services in different types of laboratories on Grounds. He has gone above and beyond to protect his employees, integrating his professional experiences from the health system in order to identify possible hazards in the labs. He has worked to increase his employees’ awareness of hazard identification and the related acute and/or chronic impacts of the identified hazards. He has documented the laboratory safety instruction process to ensure consistency of laboratory safety knowledge among his employees, as well as set up brief on-the-job training about laboratory safety prior to his new employees/apprentices entering lab spaces. Currently, Randy is collaborating closely with FM-OHS to providing a comprehensive/practical laboratory safety manual for Maintenance Zone employees. Thank you Randy for all your efforts and concerns about safety and your coworkers’ health! UVA Facilities Management is proud to recognize Tanyia Moore as FM’s September 2018 Safety Champion. Tanyia is being recognized because, as a supervisor, she encourages a positive safety culture among her employees. Many of her employees are Safety Stars and have utilized the Near Miss reporting system without fear of getting in trouble. She leads by example and encourages others to work safely, creating a safety culture among her employees. 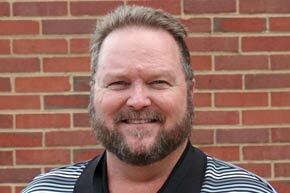 Phil Brown has been chosen as the August 2018 Safety Champion for University of Virginia Facilities Management. Phil was nominated by the UVA FM Health System Physical Plant (HSPP) Safety Committee for always having needed personal protective equipment (PPE) and proper tools on hand to ensure the job can get done safely, correctly, and on time. Although Phil declined to be photographed, his shop speaks for itself. The shop maintains regular hours and has a central location for employees to access as needed. Thank you, Phil, for always keeping your inventory stocked for FM's HSPP employees! UVA Facilities Management is pleased to recognize Jesse Johnson as the July 2018 Safety Champion. 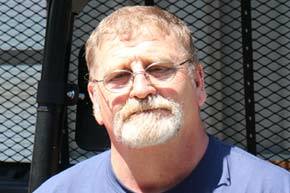 Jesse has been a part of the Custodial Services Safety Committee for many years, offering input to make his and his colleagues’ workplace safer. In addition to this service, during a recent series of rainy days Jesse went above and beyond his typical job duties when he blocked off the top of a flooded stairwell. Jesse knew that his chain of command would stand behind his decision to protect his coworkers from this unsafe situation. This is another seemingly small act that can add up to a much safer workplace. Kudos to Jesse for looking to create a ssafer workplace! 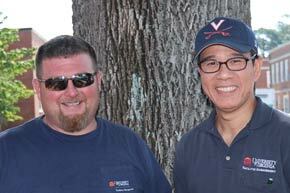 UVA Facilities Management would like to recognize Darrell Morris, carpenter, and Vu Nguyen, carpenter apprentice, as the Safety Champions for June 2018. Darrell and Vu were working together in Poe Alley on McCormick Road, and as Darrell was coming off the scaffold, he saw an elderly gentleman fall in the alley. Darrell ran over to help, but the gentleman was non-responsive. Darrell quickly yelled up to Vu who was on the scaffold to call 911. Darrell and Vu didn’t stop there! Vu acted fast and started chest compressions and rescue breaths, all while the 911 dispatcher remained on the line supporting them through the situation. Two military personnel then approached with an AED machine; and they took over the compressions and shocked the gentleman as the Charlottesville Fire Department arrived at the scene and continued administering emergency treatment. Through everyone’s efforts, this gentleman was breathing on his own as he left to receive further treatment! From beginning to end, Darrell and Vu acted quickly, remained calm, acted as a team, and did everything they could to help everyone, especially the gentleman, through a frightening situation. Kudos to Darrell and Vu for your compassion to put others first. UVA is proud to have you in the FM Family! UVA Facilities Management is proud to recognize Page Fox as the Safety Champion for May 2018. Page received his nomination for Safety Champion when he witnessed a young lady wearing sandals cut her foot on a piece of metal left in a patio from the removal of a picnic table. Page recognized the problem could be easily mitigated and had a work order created so he could remove these pieces. Page’s colleagues are quick to say that Page is always looking out for his colleagues and the students at UVA. Page’s actions may seem small, but the regular reduction of hazards like this helps keep our colleagues from getting hurt. Thank you, Page, for your conscientious effort to improve safety for everyone! UVA Facilities Management would like to recognize Kevin Beal as Safety Champion for April 2018. Kevin has worked hard as the chair of the Landscape & Recycling Safety Committee over the last several years. He has helped create chainsaw training and trailer user training, and elevated safety concerns to keep FM employees out of harm’s way. Most recently, he has taken the initiative to have signs placed on the FM fuel pumps to remind employees of the dangers of improperly handling gasoline. UVA FM is grateful for all of Kevin’s (and his committee’s) efforts to keep our colleagues safe! 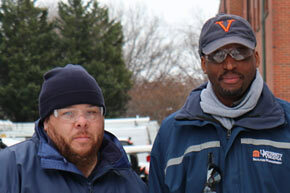 The UVA Facilities Management Safety Champions for March are Norman Hughes and Phillip Cabell. As part of the FM Alderman Custodial Services team, Phillip and Norman are always on the lookout for how safety can be improved, from adding warning signs to keeping cords properly stored. However, in addition to this, Norman and Phillip went above and beyond during a recent period of freezing rain: Several downspouts had stopped up, and sheets of ice were quickly forming in areas frequented by pedestrians. Before anyone could get hurt, Phillip and Norman were on the scene, scattering ice melt and/or taping areas off as needed. Phillip and Norman are shining examples of taking a proactive approach to safety, mitigating hazards before anyone is exposed or gets hurt. 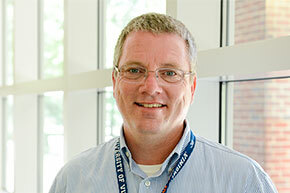 Randy Spencer is the University of Virginia Facilities Management Safety Champion for February 2018 because of his quick thinking during the UVA Bicentennial Celebration Kickoff Weekend. He noticed an unsafe issue and worked quickly to correct the situation. Because of his safety knowledge, he knew he could count on his leadership to stand behind his decision and he had the confidence to speak up and divert a potentially unsafe event. Because of Randy’s actions, a number of injuries were prevented. Facilities Management Occupational Health & Safety is privileged to recognize Mike Duffy as the Facilities Management January 2018 Safety Champion. As FM’s Transportation Operations and Fleet Manager, Mike took action when many of the same model FM vehicles were turning up with similar brake problems. In addition to remedying the reported defects, he initiated a fleet-wide safety check of all of that make and model. 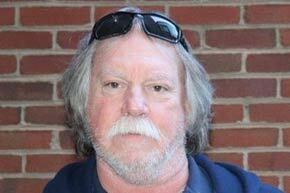 He took defective vehicles out of service and elevated the issue to University-wide. Mike’s actions resulted in a “global concern report”, which prompts the manufacturer to further review the condition of these vehicles worldwide. Mike’s fleet experience and keen mechanical aptitude kept hazardous vehicles off the road and prevented many possible accidents. Joe Groot was nominated and selected as the December 2017 Safety Champion for his recent work identifying a confined space hazard at Pinn Hall. The Confined Space Focus Team were called in to review and the team found that the space in question was very close to the street. Fumes from idling vehicles could enter the space, causing a deadly buildup of carbon monoxide. The space has been declared a permit-required confined space. Joe's attentiveness to the possible dangers of this space and his recognition of the hazards posed has made the workplace safer for many FM employees! Travis Sly is the November 2017 Facilities Management Safety Champion thanks in part to his hard work on UVA FM’s Fall Protection Focus Team. In his time on the team, Travis has been proactive with program reviews and revisions, ensuring that Facilities Management’s Fall Protection Program is up to date and compliant. Travis coordinated a fall protection rescue demonstration at the Fontaine Fire Station for the Fall Protection Focus Team and other key players involved with FM fall protection. 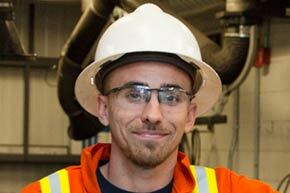 As a supervisor, Travis is committed to fostering a dialogue with Occupational Health and Safety. He consistently asks “Why?” in the effort to come to a better understanding of safety requirements and to create more efficient, safer work practices. UVA Facilities Management is proud to recognize Dave Roberts as the October 2017 Safety Champion. Dave recognized a hazard at an intersection on grounds and brought it to his Safety Committee’s attention. Dave has worked tirelessly both within FM and with other University groups to address the issues at the intersection, mitigating hazards for both drivers and pedestrians. Dave is constantly looking out for the safety of others and we commend him for his hard work! 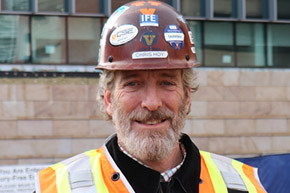 In addition to this life-saving event, John is an active member of the Special Trades Safety Committee, where he has introduced the Dutch Reach and other helpful tips to committee members. Thank you, John, for your efforts to keep everyone around you safe and healthy. We are glad you’re part of our team! UVA Facilities Management is proud to announce Shawn Ragland as the August 2017 Safety Champion. Shawn has embraced UVA FM’s recent initiative to standardize the Lockout/Tagout Program throughout all departments, spending long hours writing lockout/tagout procedures for each piece of equipment (or “asset”) in Newcomb Hall. His efforts began after Shawn took FM’s revamped lockout/tagout training, established by the FM Lockout/Tagout Focus Team. He contacted Bill Kirby from the Focus Team (and the June 2017 Safety Champion) for guidance creating procedures for his area. 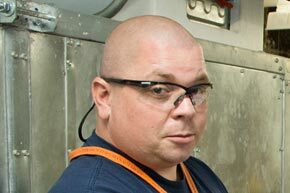 Shawn’s area – a Zone on grounds – differed greatly from Bill’s Chiller Plant, but together they came up with ways of making lockout/tagout procedures easily accessible by attaching the procedures to the assets, ensuring that all employees can access the needed information quickly and easily. Shawn has his colleagues read through and test his procedure to ensure their user-friendliness. Now that Shawn has Newcomb Hall’s lockout/tagout procedures 90 percent done, he is expanding his range to the rest of Newcomb Zone. He is also offering his help to other zones begin the process of cataloging assets and creating procedures. 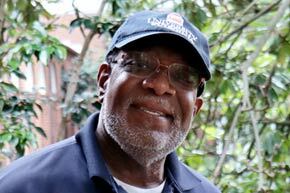 Shawn’s passionate investment of his time and talent are greatly appreciated as a part of UVA FM’s culture of safety. Sheila Jones has been selected as the UVA Facilities Management July 2017 Safety Champion for her dedicated attention to safety in the workplace. 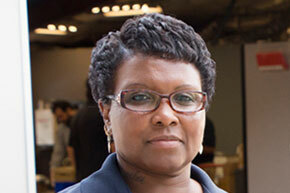 Sheila is responsible for the Materials Warehouse forklift, including having a working knowledge of forklift safety and UVA regulations, as well as ensuring the forklift receives regular maintenance and needed repairs. When the forklift is in need of repair, Sheila places it out of service until it is repaired and operational. Sheila has also stopped work by not allowing unauthorized individuals to use the forklift, keeping everyone involved safe. She is also dedicated to UVA FM employee safety by keeping up with changes in uniform requirements for the many employees that work across grounds. 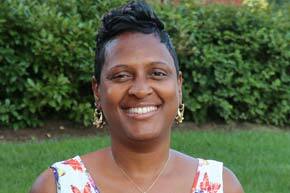 Sheila’s detail-oriented take on safety makes her a great Safety Champion for UVA Facilities Management. 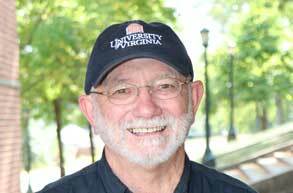 UVA Facilities Management is delighted to feature Bill Kirby as the June 2017 Safety Champion. 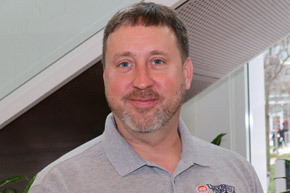 Bill has been at the University of Virginia for more than 25 years, currently serving in the Chiller Plant as a Master Maintenance Program Technician. 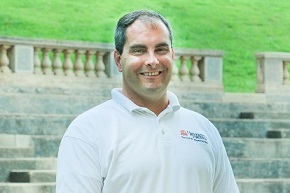 He is also a member of Facilities Management’s Lockout/Tagout Focus Team, which has spent the last year revamping UVA FM’s Lockout/Tagout Program, ensuring that the most current standards are being met. Bill has worked tirelessly creating lockout/tagout procedures and rolling out a system for the chiller plant using a computer program that will be adopted across FM. His work pioneering a standardized lockout/tagout system and training groups on this system make him a true UVA FM Safety Champion. Brian Tinnell is being recognized as the UVA Facilities Management May 2017 Safety Champion due to his dedication to construction safety across grounds, not only for UVA employees, but also for outside contractors. As a construction superintendent in FM’s Project Services department, Brian is responsible for being a leader at a number of jobs. Outside contractors have applauded Brian’s expectation for everyone to follow safety rules at work. Support of leadership is key to establishing a culture of safety and the promotion of safety at the jobsite ensures that all everyone can get home safely. UVA Facilities Management is proud to recognize Dakota Peregoy as the April 2017 Safety Champion. 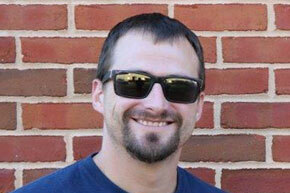 Dakota is a Plumber Steamfitter with Energy and Utilities. He is described by his colleagues as having a “keen eye for safety,” along with being patient, cautious, and watchful in all situations. He is a great example for his coworkers and apprentices learning with his group, encouraging them to wear proper Personal Protective Equipment, hazard assessments, as well as correct tools and materials. Dakota’s careful attitude is to be admired and is an integral part of maintaining UVA FM’s culture of safety! The UVA Facilities Management March 2017 Safety Champion is Bernard Curry. Bernard has been an electrician with Health System Physical Plant (HSPP) for a number of years and is an active member of the HSPP Safety Committee. 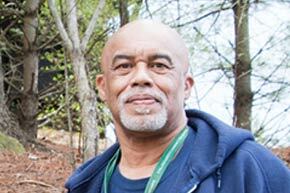 Bernard was nominated and chosen as Safety Champion because he noticed and took steps to correct a dangerous situation: A generator near the Aurbach building is located up a steep hill with no walkway or stairs. Navigating this hill was treacherous even in fair weather. After witnessing the fuel delivery driver struggle up the hill in good weather and bad, Bernard brought the issue to the HSPP Safety Committee. The committee submitted a work order for the stairs to be installed. Landscaping did a wonderful job building stairs that will be helpful for both UVA employees and those responsible for maintaining the generator. In addition to this, Bernard has used his talents to create the art for the upcoming HSPP Safety Committee poster, reminding all of FM to “Be Safe!” UVA FM commends Bernard for his efforts to create a safer workplace for everyone. 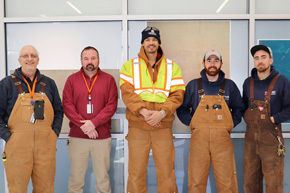 Facilities Management Occupational Health and Safety would like to recognize Jonathan Ragland and Michael Shumaker as the February 2017 UVA Facilities Management Safety Champions. Jonathan is a member of FM’s Energy and Utilities Safety Committee, which has been evaluating the B4 U Start app as a Job Hazard Analysis (JHA) tool. The B4 U Start app requires the user to list a 911 address for the job location, which made Jonathan and Michael realize that they and a few of their colleagues knew the street address of their buildings. In order to be better prepared in the event of an emergency, Michael and Jonathan had signs made for the Chiller Plant doors and labels placed on telephones, so anyone making a call to emergency services could clearly report on their location. Thank you, Michael and Jonathan, for taking the extra step to make everyone safer. Tom Castellanos is UVA Facilities Management Safety Champion for January 2017. 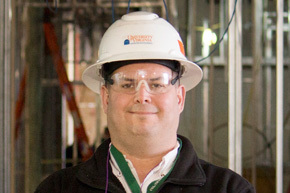 His dedication to making UVA FM a safer workplace is apparent through his efforts piloting new safety initiatives in FM and his membership on the Project Services Safety Committee, where he helped develop the PPE program. 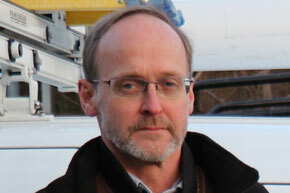 He is a consistent advocate for greater safety for employees in UVA FM: Tom is willing to speak up and point out safety issues and potential issues and apply solutions with a good attitude and open mind. He is also an advocate for proper training, ensuring that his employees are comfortable and competent in the work their assigned to do. Tom also offers support to UVA FM apprentices, continuing to foster the environment of safety UVA Facilities Management promotes. Facilities Management Occupational Health & Safety is delighted to announce Judy Kingrea is UVA Facilities Management’s December 2016 Safety Champion. Judy is a housekeeping supervisor who believes in empowering her staff to speak up to improve safety in their workplace. She has instituted a Daily Safety Tip for her employees, so that everyone stays mindful of possible dangers at work; she nominates deserving employees as Safety Stars, recognizing their contributions to making their workplace safer; and she and her staff take part in Stretch and Flex daily to warm up their muscles and prevent injuries. She has created a safe environment of reporting for her staff without fear of retaliation, allowing everyone to learn from events and circumstances that may lead to injury if they go uncorrected or unrecognized. 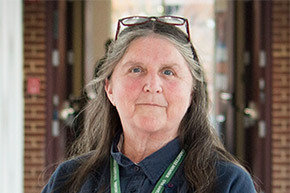 Judy is a safety ambassador for employees at UVA Facilities Management, having served as a member on UVA Facilities Management’s Safety Committees for many years. She leads by example and looks forward to continuing to make working conditions the safest they can be for Facilities Managament employees. Facilities Management Occupational Health & Safety is proud to honor Brad Pace as the November 2016 Safety Champion. As the Damage Prevention Technician with UVA Geospatial Engineering Services, Brad displays his dedication to keeping the UVA Facilities Management community and outside contractors safe, not only by marking sometimes hard-to-locate underground utilities on construction sites, but also through his promotion of resources; repeat visits to construction areas; and by training employees, contractors, and subcontractors on the importance of complying with Virginia’s Underground Utilities Damage Prevention Act. Brad uses the latest technology to locate utilities and makes them more easily locatable for future jobs. However, his job is so much more than just “paint on the ground,” thanks to the vision of Geospatial Engineering Services manager Jennifer Heckman, who created his position. Brad’s part in CFO Donald Sundgren’s goal of making UVA the safest university in the nation is key, with damage prevention playing a major role in preventing loss of life, injury and in preserving necessary infrastructure. Brad, along with the technicians and archivists of Geospatial Engineering Services, work together to keep everyone safe from dangers hidden just below the surface. This month’s Safety Champion is Marcus Johnson. 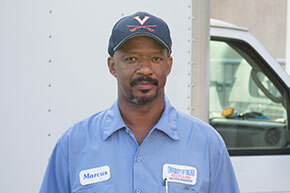 Marcus epitomizes the idea of looking out for those around you. While at a loading dock, Marcus observed an employee getting ready to walk behind a vehicle that was in the process of moving. Neither the spotter nor the driver saw the employee. At the same time, Marcus observed two children playing on a Kubota unsupervised. Marcus approached the children and asked them to move away from the Kubota and inquired about the location of their parents. Both of those situations did not put Marcus in harm’s way, but he went above and beyond to make sure other people were safe. For setting such a great example of how we should all look out for each other, Marcus Johnson is this month’s Safety Champion. Making Facilities safer – one cord at a time. Marcus Klaton and Freddie Rogers have been tasked with looking for ways to improve their safety program. Drawing from their past experience, they created a system of color coding electrical cords which raised attention to problems that might have otherwise been overlooked. Once this system was implemented, there were many deficiencies noted and quickly remedied. Freddie states that “through this process the safety committee has stood behind us 100%, and been open minded to any suggestions.” This process has now begun to spread throughout other business groups, leading to safer workplaces throughout UVA Facilities Management. Teresa Dillard and Glenda Walton are the Safety Champions for August 2016. The heat and humidity increased rapidly, creating not just an unpleasant work experience, but creating a health and safety risk as well. Glenda and Teresa, as they do so often, rose to the occasion by supplying weary workers with much needed hydration. Delivering both water and snacks to not only Project Services, but to any worker who asked, they made challenging conditions not just more comfortable, but also much safer. Ryan Taylor has been selected as the Safety Champion for July 2016. Occupational Health and Safety is proud to recognize Ryan because of his humility and compassion to others. With the recent disastrous flooding in West Virginia, Ryan knew immediately he wanted to make a difference in the same state he grew up in and still has family living. Ryan remembers a flood from when he was 9 years old, and he remembers just how the community was affected. More so, he knew how the Facilities Management family community would come together to help and make a difference to people in need. Because of Ryan’s kindness, he was able to transport a truck load of donations from the University of Virginia to West Virginia, where the people needing it most would be able to benefit and receive safe and healthy relief in such a difficult time. 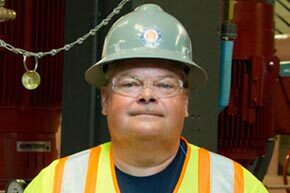 Kenny Bower has been selected as the Safety Champion for June 2016. 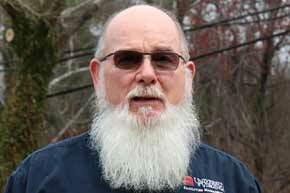 Kenny reported a “near miss” that occurred when a contractor was working in a laboratory with an active laser. Because of this proactive behavior, a collaboration with UVA Environmental Health and Safety identified several opportunities for safety improvements. If Kenny had not reported the incident, a serious hazard would have gone unidentified.